Newer, more fuel-efficient buses will be appearing on roadways over the next few years thanks to a $76 million grant from the federal government to NJ Transit announced on Monday. Part of the grant also will help NJ Transit create a bus system between Camden and Philadelphia. The largest part of the grant, $46 million, will go toward replacing 84 buses that run on diesel fuel with new buses that run on more efficient compressed natural gas. 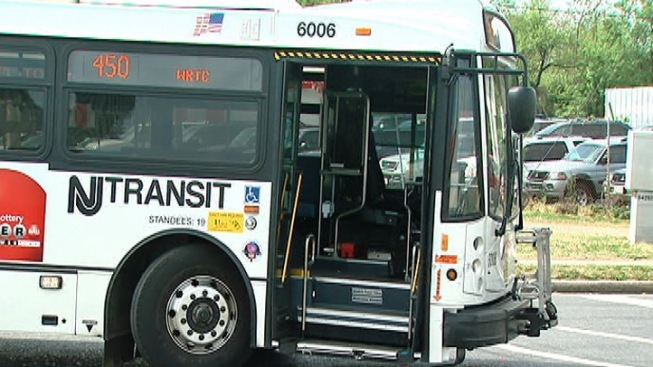 The buses to be replaced are housed at a garage in Howell, Monmouth County, and run express service to New York City along the Route 9 corridor. The buses have been in service an average of 12 years. NJ Transit estimates it will save about $1.4 million annually on fuel costs by using the new buses, spokesman John Durso Jr. said. Another $27 million will go toward replacing 37 diesel buses currently housed in Egg Harbor Township with hybrid buses. These run primarily between southern New Jersey and Philadelphia. NJ Transit estimates it will save about $340,000 annually by using the hybrids. Under conditions of the grants for replacing the buses, NJ Transit is matching 20 percent, or $11.5 million for the 84 Howell buses and $6.8 million for the Egg Harbor Township buses, Durso said. NJ Transit also is receiving $2.6 million to create a rapid-transit bus route between Camden and Philadelphia. The grants are part of $787 million the U.S. Department of Transportation is giving out to support projects in 48 states. NJ Transit is the second-largest transit system in the country, with 164 rail stations, 60 light rail stations and more than 19,000 bus stops linking major points in New Jersey, New York and Philadelphia. New York's Metropolitan Transportation Authority runs the nation's largest mass transit system. This month, NJ Transit approved the discontinuation of several bus routes around the state as part of an optimization plan. It also recently approved a rapid-transit bus route to connect heavily traveled southern New Jersey roads with downtown Philadelphia. The new system would let buses travel on highway shoulder lanes and the median for part of their trip, which would follow Routes 55 and 42 and I-676. The plan also would add 1,800 new parking spaces for commuters in Winslow and Deptford Townships.